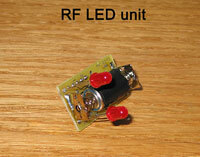 The Bounty Hunter RF LED board will fit inside a hollow rangefinder head, requiring no extra wires to operate. 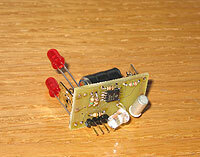 The LED board conserves space by including onboard battery contacts for 3 coin cell batteries. The unit is self contained in the rangefinder head and will automatically come on when the rangefinder is put in the "down" position. When the rangefinder is put in the "up" position the board automatically turns off (via the built-in tilt switch). 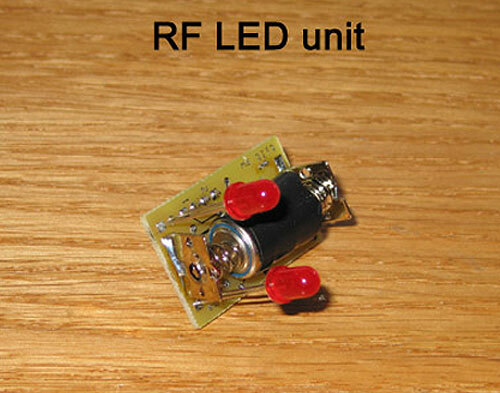 The 2 top red LEDs have 4 different blinking modes to choose from! Also, the board includes a white backlighting LED to provide ambient lighting for a see-through reticle. 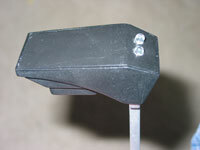 This is great to backlight a small picture or targeting crosshairs on the inside of your rangefinder!